We know that you have a choice when it comes to Lafayette optometry, so we strive to provide comprehensive eye exams, a great selection of glasses, and personalized care. Our entire Lafayette optometry staff is committed to ensuring the comfort and satisfaction of each and every patient. 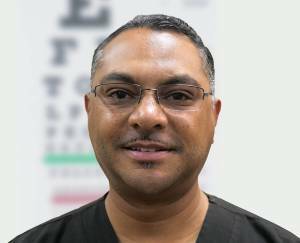 At Family Eye Clinic, each member of our vision care team is selected by Dr. Jerry Gerdes based upon his or her experience, professional demeanor, and dedication to providing personalized care to our optometry patients. We will do our best to accommodate your busy schedule by finding appointment times that meet your needs. Our knowledgeable staff at Family Eye Clinic will work with you to help you understand your vision insurance coverage and provide financial alternatives to ensure you get the best vision care possible. Dr. Gerdes is an Optometrist in Lafayette providing complete eye care services for the surrounding communities. 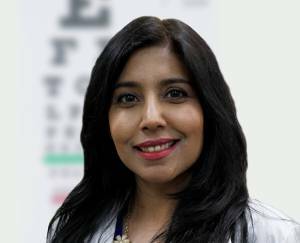 As a licensed optometrist, Dr. Gerdes provides exams, diagnoses, and treatments of all disorders that affect the eye or vision. In addition to training in eye diseases and disorders, Dr. Gerdes is also trained in anatomy, biochemistry, and physiology. With this background, Dr. Gerdes is trained to recognize a range of health issues; such as glaucoma, macular degeneration, diabetes and hypertension. Dr. Gerdes works hard to stay current on the latest advances in eye health and vision care and regularly attends continuing education seminars and advanced training courses. It is because of Dr. Gerdes’s dedication to continuing education that our Lafayette patients receive the most modern and progressive vision care available. At Family Eye Clinic, our staff is friendly and professional. Our commitment is to provide exceptional customer service to all of our Lafayette patients. We take pride in our personalized care and strive to spend the necessary time with each patient to ensure a comfortable experience. Our Lafayette optometry professionals are passionate about providing high-quality care to our family of patients. We focus on providing comprehensive eye exams, a large selection of fashionable eyewear, and the best possible vision care. Come in today to meet our Lafayette staff and make an appointment. Over all the staff was extremely friendly from the point of initially calling and setting up the appointment to the actual appointment. The wait time wasn't long at all.